I am always looking for products that save space and make things look neat and organized, and are easy to use. This Better Homes and Gardens Picture Ledge Set fills all of those requirements. These are really nice looking picture ledges and are well made, they even come with a lifetime warranty. I am pretty handy around the house and I enjoy doing some DIY projects. I was pleasantly surprised at how easy these are to install. No need to hire someone to do it,there's complete instructions in the box to guide you along the way plus a paper template for hole spacing and, what sets these off from the rest of the shelves that I've used in the past is that these come with durable hardware that is easy to use. Just 5 easy steps and you will have a very attractive ledge to display pictures and any small decorative what nots. 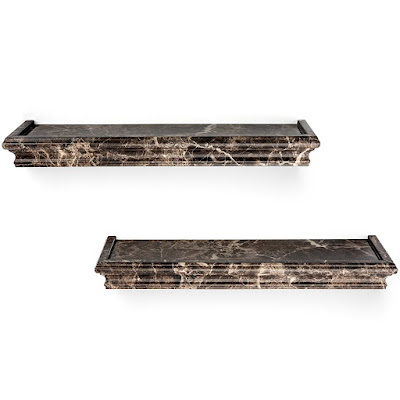 These ledges are sturdy, they hold up to 6.6 pounds, and measure 14" wide 4" deep and 1.5 " tall. With the marble brown finish they are a nice looking addition to any room.In my opinion the floating shelf design has such a clean, tidy appearance. Knowing that I'm using a trusted brand makes me feel confident. 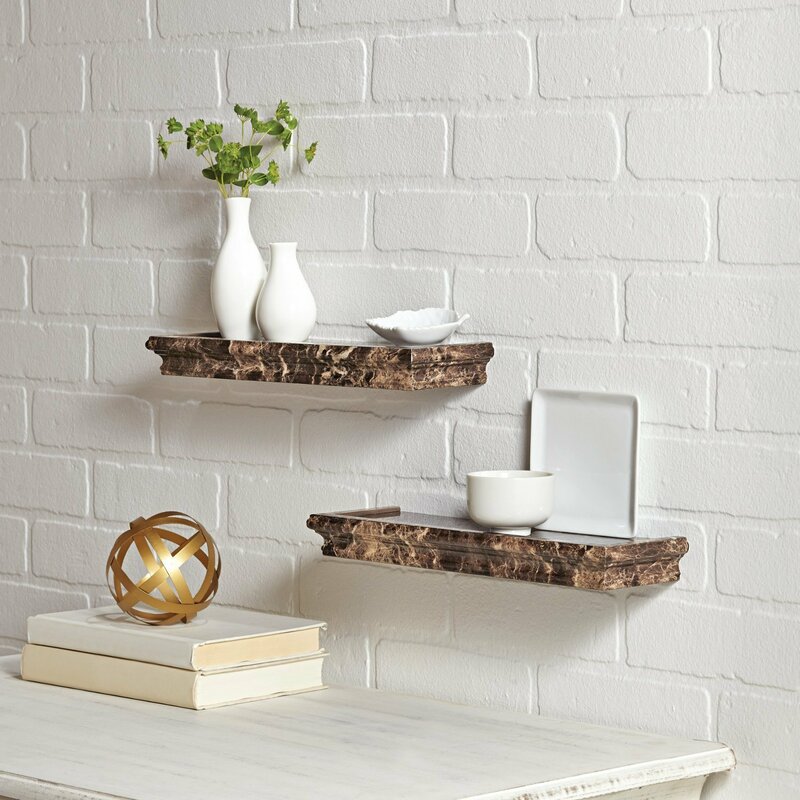 These picture ledges have the Better Homes and Gardens seal of approval, so I know I'm dealing with a good product, something that will not only hold up but will get compliments in the years to come. Another great feature, the cost. Seriously,they cost under $20, but look like you've spent a lot more. At that price you can buy a few sets and fill up empty spaces on your walls with beautiful pictures, collectibles, etc. Perfect for any room in your house or office. They would also make a wonderful gift.